Are you going through a drastic change that makes you feel like you are lost? Perhaps you experienced a traumatic incident that keeps you from moving on? When you are consumed by thoughts severely affecting your everyday living, know that someone is willing to listen and help you manage your problems. Dependable psychological services are now within your reach through THE KEY MENTAL HEALTH INSTITUTE in Miami, FL. 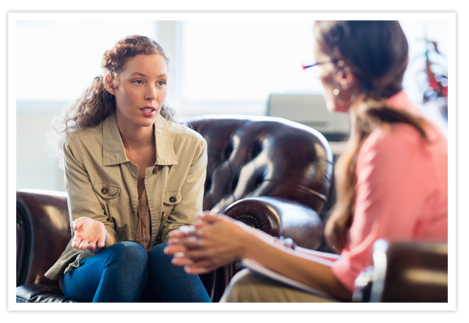 We provide an array of counseling and therapy sessions to our clients in need of professional help. We also offer expert hypnotherapy services for any of your mental health concerns. We work with clients experiencing depression, PTSD, anxiety, phobias, panic attacks, obsessive thoughts, and other difficulties. We provide compassionate care grounded in the treatment methods that work. Why Choose Our Psychological Services? Here at THE KEY MENTAL HEALTH INSTITUTE, we are committed to providing effective approaches to mental health problems. We are the trusted psychological services provider in Miami, FL, believing that knowledge and empowerment are the important factors in overcoming mental distress. Through the leadership of Dr. Jane Janer, we guarantee to offer counseling and hypnotherapy sessions that conform to industry standards. Whether you are experiencing a major life crisis or you are just looking for someone to confide with when it comes to your problems, you can talk to us. Get in touch with us today for reliable psychological services and hypnotherapy sessions. Rest assured that we will always go above and beyond to provide the counseling sessions tailored to your specific needs.